Killarney National Park boasts of many tremendous places to see besides its animals and lakes. One of the must-see places in the park is the Muckross House and Gardens, which is a 19th-century spectacle. The house is located close to the shores of one of the parks three lakes, Lake Muckross, which together with the other two lakes, is famed for their beauty and splendour all around the globe. The house and gardens are a marvel to visit and are highly regarded considering that they were once visited by Queen Victoria. To complete the experience of visiting the gardens, you should visit the traditional farms that are adjacent to the house, since they serve food that is reminiscent of how the old folks there once lived and dined. The National Park and the Lakes region are a marvel to visit at large since they are full of beautiful lakes and mountains. The Gap of Dunloe is another pretty sight to behold, which is a narrow and rocky mountain site that was formed as a result of glacial activity at the close of the ice age. The Cliffs of Moher are magnificent cliffs in Galway and they are Ireland’s most visited natural attraction. They are rugged and awe-inspiring cliffs that get visited by hundreds of thousands of tourists every year who take walks on its trails as they marvel at the beauties that stretch along the Atlantic Ocean. The capital of Ireland also boasts a number of beautiful and historical places that tourists can visit, chief among them being St. Patrick’s Cathedral, the 18th-century bank of Ireland and the Leinster house. Grafton Street is also a place to visit, where you will be entertained by street performers and musicians as you stroll around. The Ring of Kerry or the Iveragh Peninsula is a scenic route one should visit if they are in Kerry. Most tourists take the trip from Kenmare or Killarney and go around then back there, and along the way you get spectacular views of the Atlantic Ocean, sweeping mountains, stunning islands on the Atlantic and numerous beautiful villages. The area also has plenty of outdoor adventures like water sports, cycling circuits, horse riding and golf, for the enthusiasts. There are also Iron Age forts and Ogham Stones for those with the affinity for history. 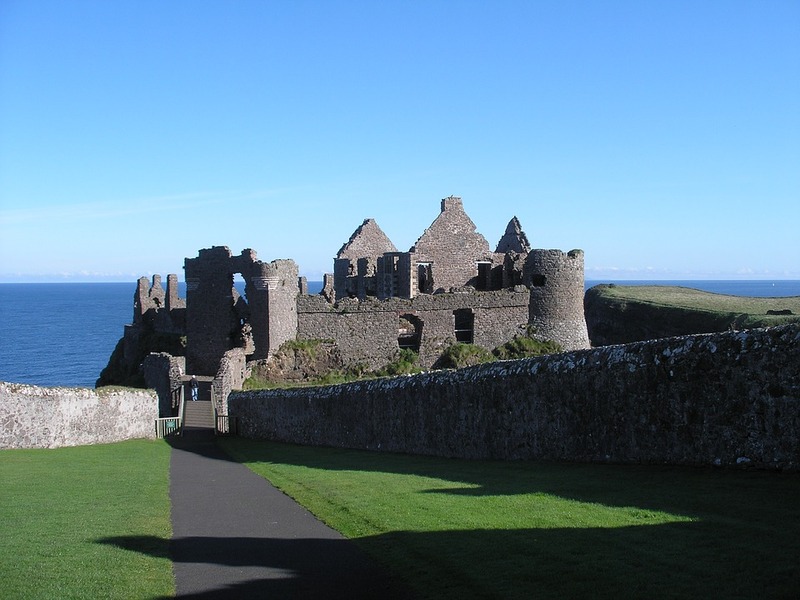 This is the most visited heritage site in Ireland, and it stars in a plethora of images of the Emerald Isle. It is composed of a group of several Medieval buildings put up on a limestone rock formation in the Golden Vale. Some of these buildings are the High Cross, the 12th century round tower, the Romanesque chapel, a 13th-century Gothic cathedral, a restored Hall of the Vicars Choral and a 15th-century castle. Tourists visiting the site are also treated to exhibitions and an audio-visual show.